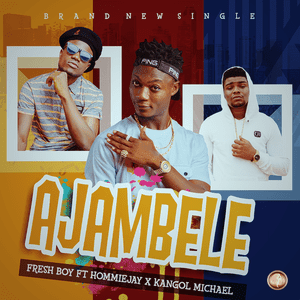 Talented uprising artiste Fresh Boy dished out his new single which he titled “Ajambele” featuring two rap sensation – “Hommiejay” & “Kangol Michael”. The Mabossondebeatz-produced track is sure to make its way to the streets. TORYPOT NG is a Nigerian hotest News and Entertainment blog that brings you all the latest news, musics, videos, gists foreign/local as it de hot. Please make sure you are subscribed to our news letter to get all the latest posts direct to ur device thanks. #TEAMTORYPOT.